Ding dong! Fake Avon takeover calling! Ding dong! Oprah calling? Nope. Avon's stock surged as much as 17% Wednesday after rumors started circulating about the possibility of Oprah Winfrey taking a stake in the struggling cosmetics maker. But a spokesperson for Oprah Winfrey said in an e-mail to CNNMoney that "this information is not true." Avon (AVP) would not comment on the chatter. The stock was still up about 7% in late afternoon trading. The reason for the speculation sort of made sense -- even though an actual investment by Oprah seemed highly unlikely. Investors were clearly hoping that Oprah would come to the rescue of Avon -- whose stock has plunged nearly 60% this year -- just like she has done for Weight Watchers. Oprah announced in mid-October that she was buying a 10% stake in the diet company, with an option to acquire another 5%. She also joined the board of directors and became a Weight Watchers member. Since that announcement, Weight Watchers (WTW) stock has surged more than 280%. The value of Oprah's stake has grown from $43 million to $165 million in the process. Oprah -- who is worth more than $3 billion, according to Forbes -- will also take part in a new marketing campaign for Weight Watchers. The company reported better-than-expected sales and profits last month and also raised its outlook. Weight Watchers CEO Jim Chambers added that Oprah was a big reason for the company's recent rebound. "The response to this partnership announcement has been terrific," Chambers said, adding that "we have seen significant improvement in visitors to our website, which has translated into a strong response in the business." But investors should have been very skeptical of the Avon rumor from the get-go. For one, Avon's stock surged earlier this year following a fake takeover bid. So there's a history of the stock being manipulated by fraudsters. The SEC has charged a man in Bulgaria with submitting a bogus regulatory filing about a fictitious private equity firm offering to buy Avon. Also, some traders have been openly wondering about Oprah and Avon for weeks on Twitter. It's not clear why a new rumor popped up today. Finally, the reason that Oprah's investment in Weight Watchers is working so well (for now at least) is because she is taking such an active role with the company. Would Oprah really have time to sit on the board of Weight Watchers and Avon and be involved in ad campaigns for both companies? She's also busy with the OWN Network -- a cable channel she co-owns with Discovery Communications (DISCA). If the answer is no, then why would Oprah buy a stake in the company in the first place? Its best days appear to be long behind it. 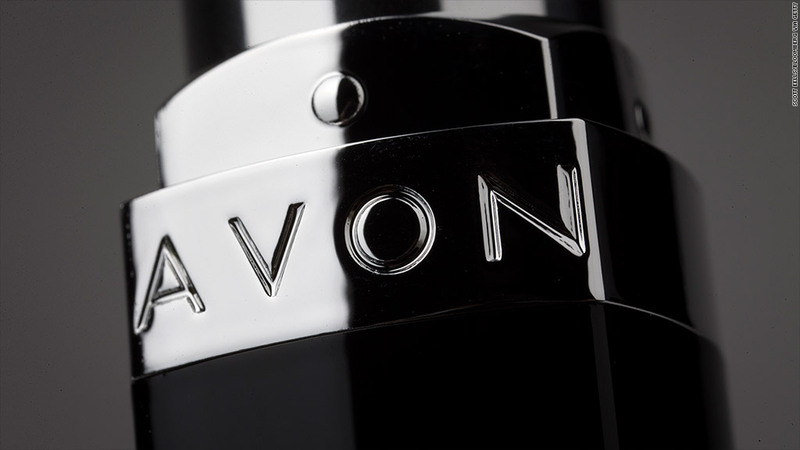 Avon turned down a $10.7 billion takeover bid from rival Coty (COTY) in 2012. Avon's market cap is now just $1.7 billion. Earlier this year, Avon was kicked out of the blue chip S&P 500. It had been in the index since 1964! Avon has racked up losses for the past three years as sales have declined. Revenues are expected to fall 20% this year and another 5% in 2016. So of course, Avon could use Oprah's Midas Touch. But it looks like investors shouldn't start emphatically shouting, "You get some makeup! YOU get some makeup!" anytime soon.